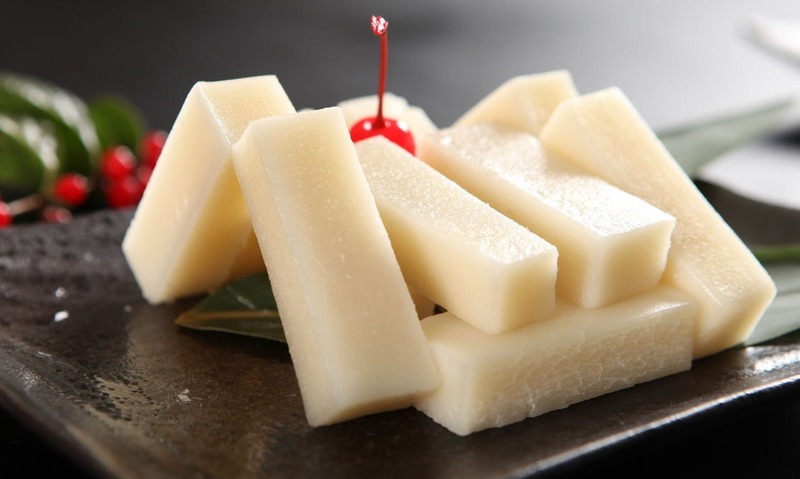 Rice cake is the most popular New Year dessert. Its Chinese name is 年糕 (nian gao), a homophone for "year higher" (年高), which symbolizes increasing prosperity and promotions year after year. The main ingredients of nian gao are sticky rice and sugar. 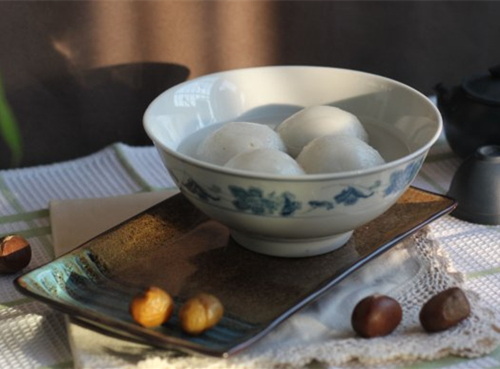 Glutinous rice ball, or tang yuan, is the main food for China's Lantern Festival. The pronunciation and round shape of tangyuan are associated with reunion and being together. That's why they are favored by the Chinese during the new year celebrations. Glutinous rice ball is often filled with black sesame paste or mashed peanuts. Steamed sponge cake, or fa gao, is a traditional snack in China. It is usually eaten at happy events as in Chinese "fa" means "prosperity". 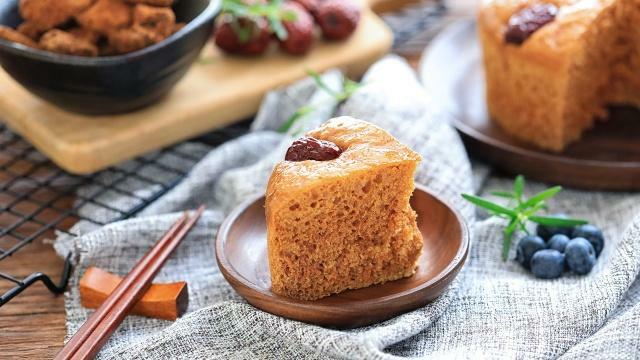 Because glutinous rice wine is used when making this sponge cake it has a special fragrance. 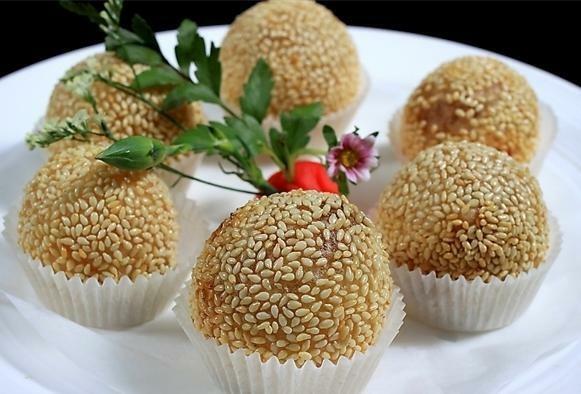 Sesame seed balls are a type of fried food made from glutinous rice flour that is often filled with red bean paste and rolled in white sesame seeds. They are crispy on the outside and soft on the inside. 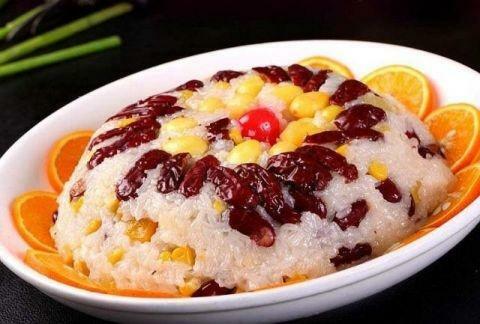 Chinese rice pudding, also known as "eight-treasure rice pudding", is a famous traditional banquet dessert. Eight is a lucky number in Chinese culture, hence the name. The dessert really has eight types of "treasure", including red jujubes, lotus seeds, dried longans, and other various dried, candied fruits. Two or three bars of dough paste are twisted together and fried until they are crispy. It is much more popular in North China. The fried dough twists produced in Tianjin are the most famous in China, due to their renowned crispy texture and rich flavor. They are a specialty of Tianjin. Peanuts symbolize vitality and longevity in Chinese culture. 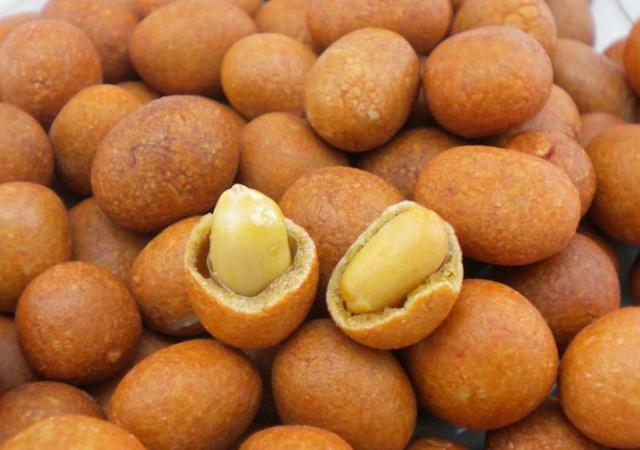 Chinese people have invented many ways to eat peanuts, and making fried flour-coated peanuts is one of the most popular ones. Shelled peanuts are coated in a syrupy mixture of brown sugar and flour, and then baked until they are light brown in color. This is another popular way to eat peanuts. 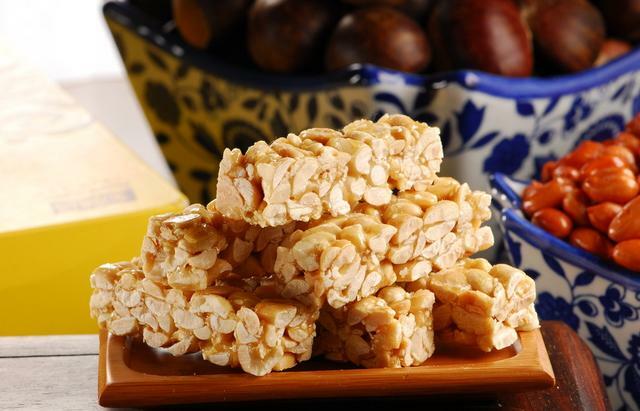 This sweet, crispy, and fragrant dessert is mainly made with shelled peanuts and malt sugar. 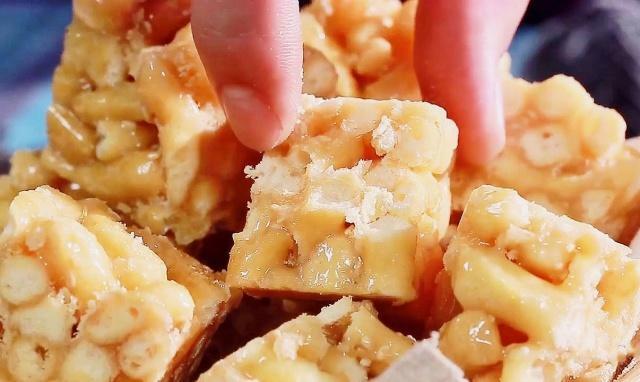 In markets, you can find beautifully packed peanut brittle, as well as peanut brittle sold by the meter. 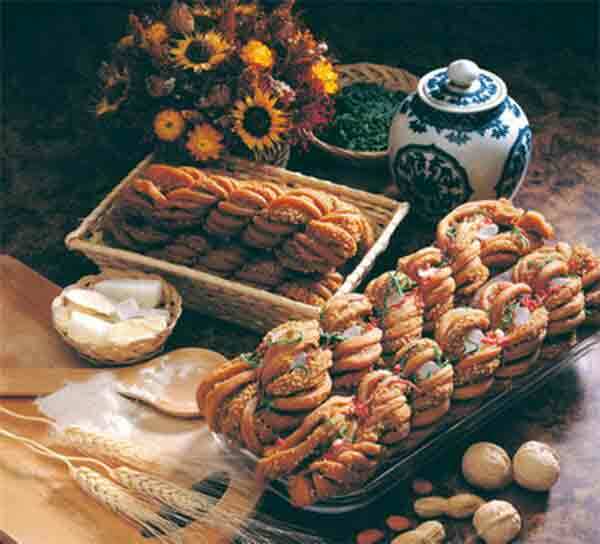 Walnut cookie is a popular Chinese New Year dessert. The main ingredients are walnuts and flour. 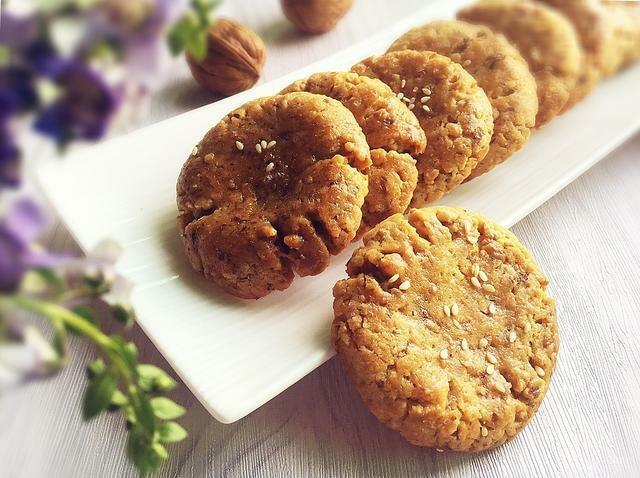 The temptingly yellowish cookies have a soft texture and walnut fragrance.